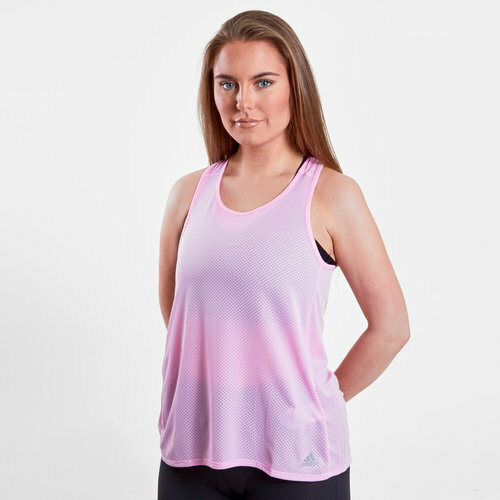 Stay cool even when you put your all in when you wear this adidas Response Ladies Tank Top in a True Pink and Heather colourway. Designed for hot weather sessions adidas have brought us this moisture-wicking running tank top. This women's tank which has a look popularized by track stars and top marathoners about it will keep you comfortable during the summer sessions. The lightweight Climalite wicks away sweat so you stay dry and comfortable no matter what mile you're on. The large armholes allow full range of motion to keep you in your stride.